We’re happy to share this crazy early VR experience with the modern VR audience, and hope you enjoy it! Wednesday night, Alien Makeout Simulator was shown on Comedy Central’s @midnight show. 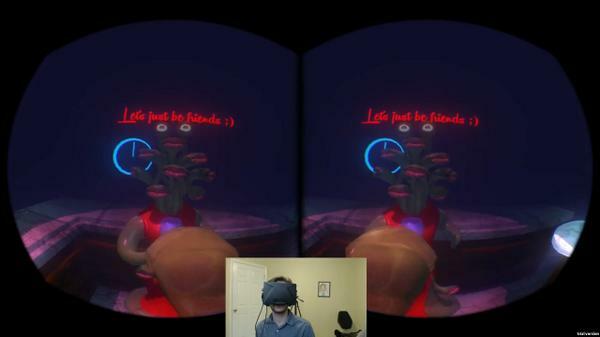 It was highlighted during a game that had the contestents guessing which crazy Oculus Rift concept was ACTUALY real! We’re big fans of Breaking Bad, so it was a real trip seeing BB’s Bob Odenkirk on the very same episode. Improved version supporting the DK2 now available! We’ve just released a new and improved version of Alien Makeout Simulator! This is the same version we brought to the Boston Festival of Indie Games a couple months ago, where we took the audience voted prize for Best Single Player Game. 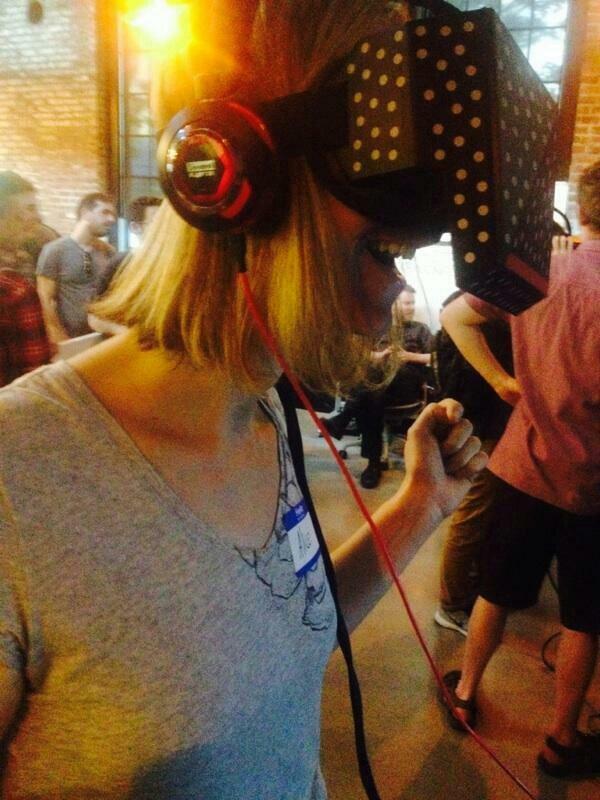 But more importantly, this version is our first public release supporting Oculus’ DK2 headset. We’ve made a ton of improvements since the original release, including an all new audio design, choice of male or female partner, improved UI, a new “pecking” mechanic, and some shiny new graphical effects. Let us know what you think, and what you want to see next! 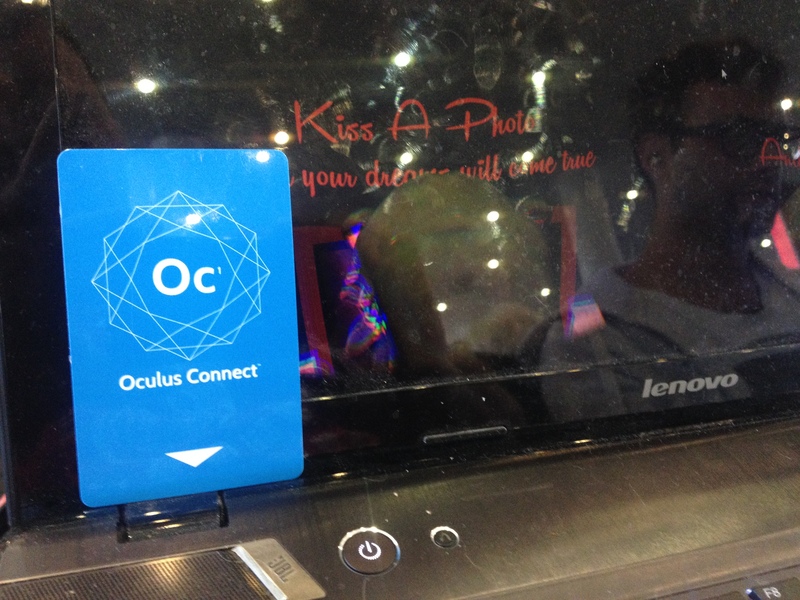 This weekend, our Supreme Commander of Code, Michael Mandel flew to Oculus Connect in fabulous Hollywood, California! Since there is no business like show business there, he showed the crowd our Alien Makeout Simulator… and the crowd got frisky! Thank you everyone who played, and a huge thank you to Magic Pixel Games, creators of “Night at the Rockulus”, for letting us demo our DK2 experience along with theirs, which recreates the amazing head bobbing sketch from Saturday Night Live starring Jim Carrey while blasting the “Night at the Roxbury” music! We won at Boston FIG! We’re proud to announce that the Alien Makeout Simulator has won the “Fabulous Flow” Award for Best Single Player Game! We have some news that’s out of this world: the Alien Makeout Simulator will be featured this weekend at MIT for the Boston Festival of Indie Games Digital Game Showcase! Been wanting to play this crazy simulation game? Now’s your chance! Kiss your fears goodbye and come give it a try! The eccentric Earthling and Youtuber PewDiePie, aka Felix Kjellberg, created a Let’s Play video for Alien Makeout Simulator – Check it out! 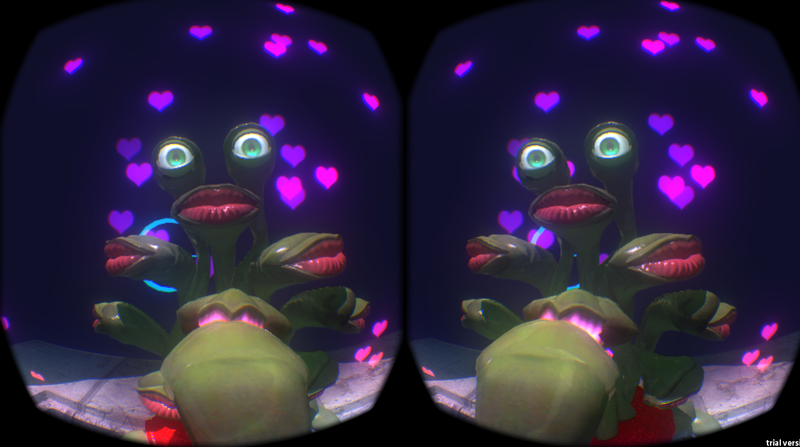 VR Focus played and reviewed the Alien Makeout Simulator! Check out there review on their website. The beautiful people at the Space Cowboy Game Jam though it was a hit! Check it out on our official Space Cowboy Game Jam page here. This last weekend of May we participated in the VR Game Jam in Boston, aided by Valve and Unity3D and Oculus VR and organized by Alex Schwartz and Devin Reimer of Owlchemy Labs. It was here that the five of us developed the Alien Makeout Simulator. You can read about it here on the Unity3D Blog. You know what they say… once you go multi-mouthed randy alien, you never go back!